Thinking about selling your home with Comfree? When you sell with Flatprice.ca you're selling with agents who list your property as a FLAT FEE NO COMMISSION. Comfree: When you list with Comfree you’re paying top executives, management and a corporate ladder. That’s why they are so expensive! Flatprice.ca: You’re paying a Licensed Real Estate agent who specifically deals with FLAT FEE listings. Comfree: When you list with Comfree, your listing is listed on REALTOR.ca and not the backend where agents have access to the listings. FlatPrice.ca: You’re listing appears on REALTOR.ca as well as the backend where agents have access to the listings. Most Sellers would like to offer a Buyer agent commission should they bring a good offer. With Comfree, you CANNOT do this. 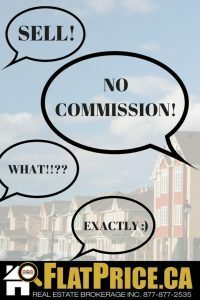 They do not offer a cooperative brokerage commission. Comfree: When you list with Comfree and you need someone to write your offer, you’ll be paying top dollar just to get help from someone from the phone with limited real life experience. Flatprice.ca: Offer writing & negotiating is less than $50 and a small flat fee of less than $300 on closing. Comfree: Comfree does not offer an interboard listing, infact they will tell you it’s not necessary if you ask them! FlatPrice.ca: We offer interboard listings because most Sellers want to offer a small commission to lure in more Buyers. Comfree: They charge cancellation fees once you realize you’re stuck only on REALTOR.ca. Flatprice.ca: Cancel anytime for FREE! We’ll also refund your money if you’d like to list in FULL SERVICE instead. Comfree: They do NOT offer FREE listings. in their website. FlatPrice.ca: We do! List your property for FREE on our website and upgrade anytime to a REALTOR.ca & MLS® listing. THE LIST GOES ON… YOU MAKE THE CHOICE! Comparing national brands is easy in today’s marketplace and we at FlatPrice.ca Real Estate Brokerage believe that Real Estate should be no exception. We understand that you, as the seller of your property, are looking for the best price and service package that suits your needs. Below we have created a chart comparing what we offer to our competition! Our answer is YES to ALL! FlatPrice.ca offers the cheapest way for you to get national exposure for your property on Realtor.ca for a flat fee. We have no additional/hidden fees and NO CANCELLATION FEES. You have the choice to sell privately or full service. It is YOUR choice!